Well, it’s that time of year again. The time when wild rumours, rampant speculation, leaks, and “leaks” about the next World of Warcraft expansion are flying wildly. And boy, we’ve got a doozy to lead things off. Kul Tiras has always been one of the great oversights of WoW. As a pillar of the Alliance, a naval superpower, one of the last surviving human nations, and the homeland of Jaina Proudmoore, it’s something that very much should be in the game but inexplicably isn’t. Honestly, a very strong argument could be made that it should have been the Alliance capitol instead of Stormwind. And yet it’s nowhere to be found. It’s barely even mentioned. If Kul Tiras is finally making its way into the game, and that now seems almost certain, it’s long overdue. I had initially assumed we’d be visiting it for a story scenario or something, but it has been pointed out that this “[place name] quest” file name nomenclature has in the past always been used for leveling gear in a new expansion. This raises the very real possibility that Kul Tiras will be the setting of the next expansion. Kul Tiras is very significant politically, but not very big geographically, which could make for a very cramped expansion, but Legion has proven that Blizzard is willing to set expansions in smaller locales. And it’s also possible that the expansion might include other islands, such as Zandalar or Tel Abim. Of course, Kul Tiras indicates an aquatic expansion, and that raises the possibility of Azshara. I also have to wonder if, after all this time, Blizzard could deliver on my expectations for such a thing. Azshara is, I think, the last great Warcraft villain. We can’t bring Gul’dan back from the dead again. The Lich King’s story is finished. Murozond and Deathwing are defeated. The mid-level Legion leadership has been pretty defanged in WoW, and Sargeras is too powerful for players to ever face directly. 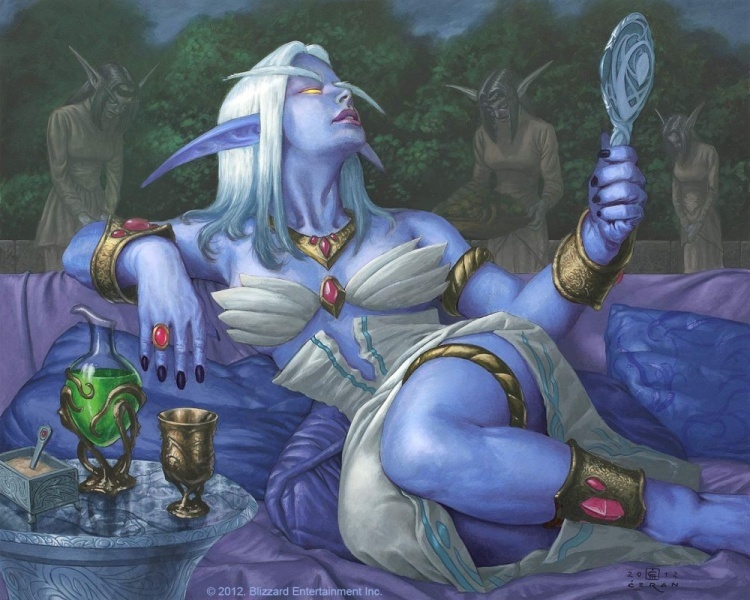 Sylvanas is too beloved by the fans to be made a direct antagonist. There are still the Old Gods and Void Lords, but Azshara has a human (for lack of a better term) face that they lack. For all her godlike power and legendary influence on the Warcraft universe, she’s still ultimately just a person. A profoundly twisted, chillingly selfish person, but a person nonetheless. 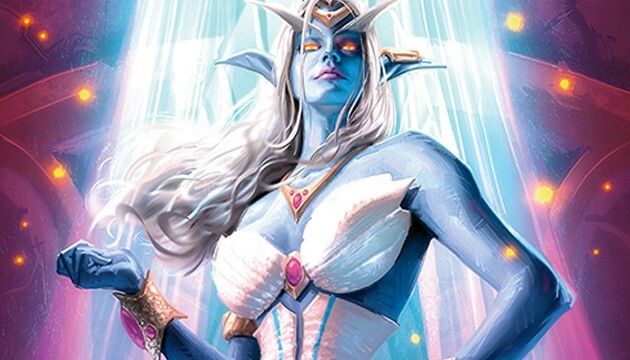 Azshara is unique among Warcraft villains, and not just because she’s one of the few prominent female villains in the universe. Most Warcraft villains are literal monsters: mutant dragons who bleed liquid hate, undead monstrosities, grotesque demon lords, eldritch beings from a realm of pure entropy. Even Gul’dan, arguably her closest analogue, is nakedly monstrous, his appearance hideous and his cruelty clear. Azshara isn’t like that. Azshara is charming, personable, and charismatic. Her darkness is well hidden. To the untrained eye, she is a beacon of grace and beauty, truly the Light of Lights. Azshara is a slow poison, a subtle killer. Her people continued to love and worship her even as she burned everything they ever loved. She already shattered the world once, and she’s had ten thousand years to perfect her plan to finish the job. But can WoW do justice to all that? Historically it’s done a very poor job of making its antagonists into credible threats, with the Lich King and to a much lesser extent Garrosh being the only notable exceptions. Kul Tiras probably also means more Jaina, and that could also be a problem. Every time I think Blizzard can’t ruin Jaina’s character more, they find a way. 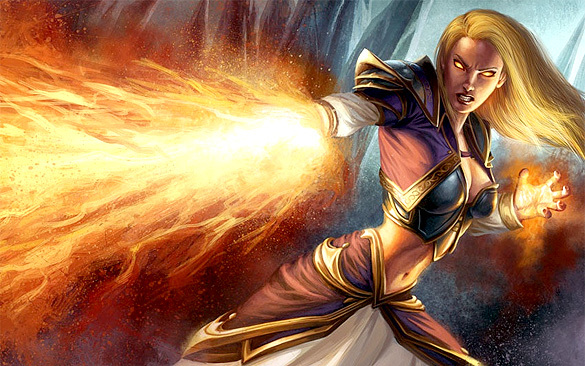 I so want to have the old Jaina back, but I think it’s now far too late for that. So while the news of a Kul Tiras expansion would have once filled me with joy, right now I’m trying to keep my expectations carefully managed. It could be great, but it could also be a terrible disappointment. I won’t lie, though. If Gamescom/BlizzCon rolls around and they show a trailer for “World of Warcraft: Light of Lights,” I may nerdgasm a bit. This entry was posted in Misc. and tagged fantasy, tinfoil, Warcraft, World of Warcraft by Tyler F.M. Edwards. Bookmark the permalink.